Always looking for silver linings in my encounters with life, family, food and of course, weather. How do you like your chicken wings? We do chicken wings right where I’m from. 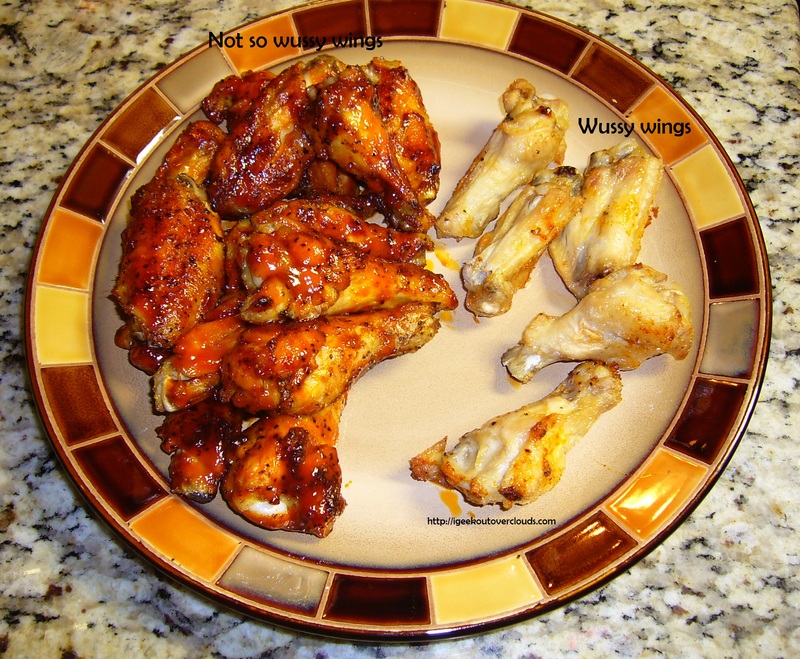 And just to prove it, I’ll offer up my favorite chicken wing recipe for you to taste for yourself. I’d invite you over to my house but we devoured the plate of wings already so it’s up to you to make these fantastically hot wings for yourself. Sprinkle garlic powder and salt over the wings, flip then repeat. Stick in the oven for 30 minutes. 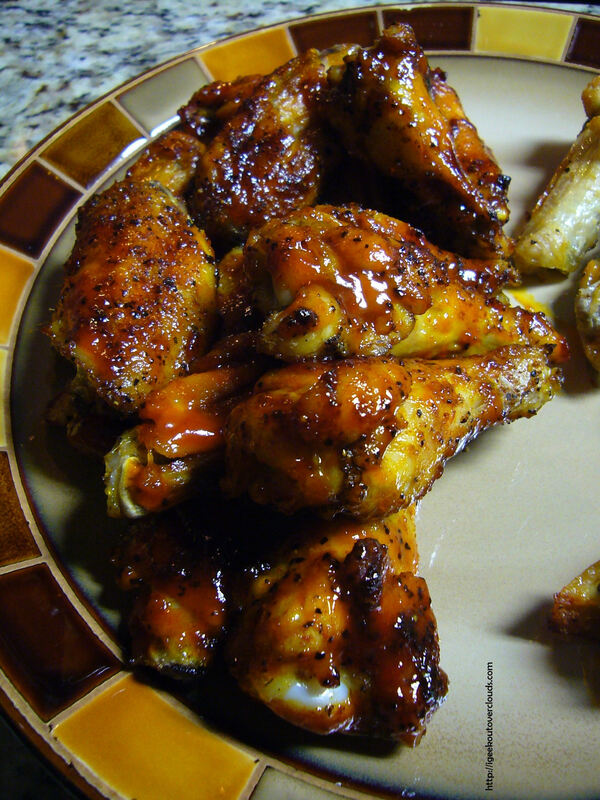 While the wings are baking, grab a small saucepan and on a medium heat, dump in the Frank’s Hot Sauce and butter. Stir with a whisk. I should warn you here that I don’t use measuring devices. I just wing it. Get it? Wing it. Ha ha ha. I crack myself up. Anywho. Once the butter is melted, add the molasses, syrup and honey in no particular order. Stir sauce over medium heat and let the flavors come together. Feel free to taste test and add more or less of the ingredients to fit your needs. My husband suggests adding a few drops of jalapeno juice to create a different level of spicy in your sauce. Once you get the sauce to a flavor you can live with, drop the temperature down to Low and let it thicken up. Continue to stir the sauce occasionally so not to burn. 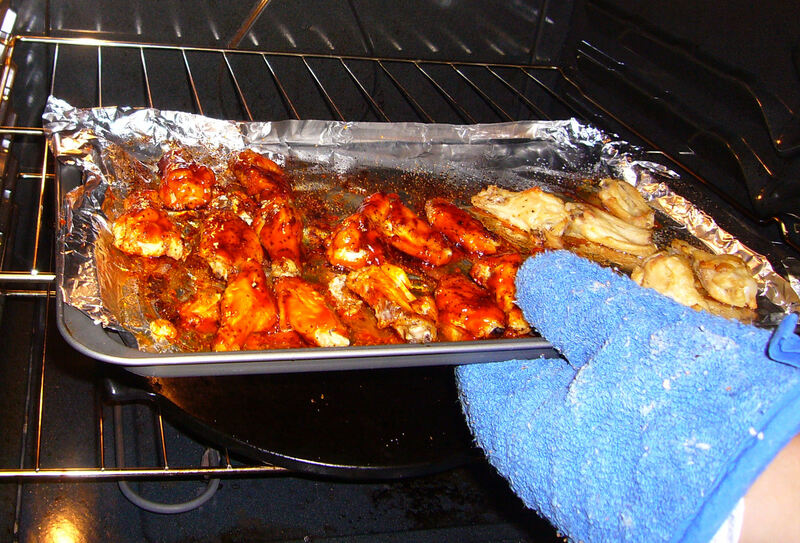 After 30 minutes, flip the chicken wings over and return to the oven for 15 minutes. 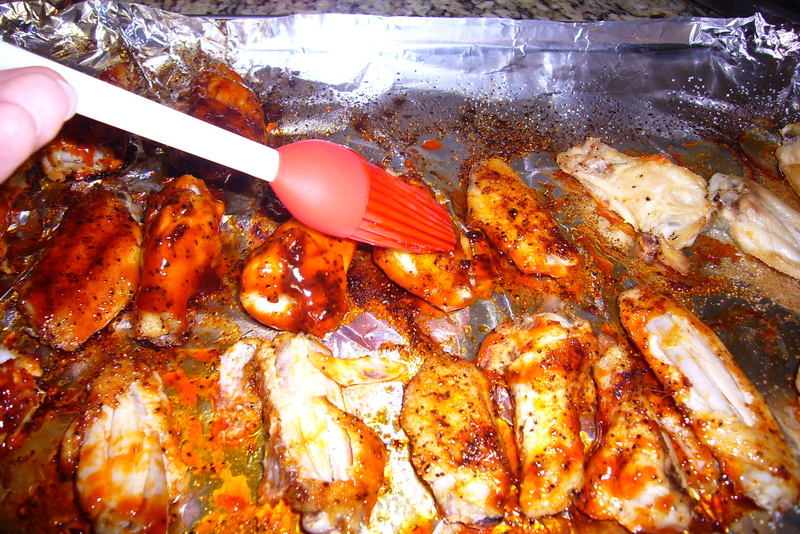 After 15 minutes, pull the chicken wings out of the oven and brush on the sauce. Flip the wings over again and brush the other side. Return to the oven for another 15 minutes. Any remaining sauce can be used to dip your wings in for extra heartburn fun later. Just kidding. Remove wings from the oven, serve up on a plate and enjoy with your favorite dipping sauce if you so choose. A word of caution: Try as you might to wash your hands clean after eating your wings, the sauce will somehow still be on your fingers or toes depending on how you eat. DO NOT, I repeat, DO NOT touch your eyes, or for you men, your peckers, because you will pay. Trust me on this one.